Limmud FSU is based on a pluralistic learning model which encourages participants to explore Judaism based on their own interests. 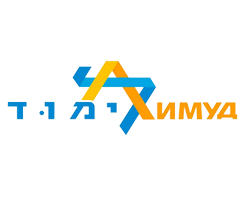 The Limmud FSU Conference in Vitebsk took place from May 29 through June 2, 2013. More than 500 participants from 9 countries attended. The majority of the participants came from Belarus. Two seminars before the conference provided training and support for 24-35 members of the Belarus Organizing Committee as they prepared for the conference in Vitebsk. The seminars addressed the content and logistics of the Conference: program; presenters; recruitment of participants; registration; public relations; and payments. Further preparations for the Conference took place online through email, Skype, and discussion groups. The Conference in Vitebsk was an intensive celebration of Jewish culture and identity. More than 100 presenters, panelists, and moderators included prominent journalists, artists, educators, and philanthropists from Belarus, Ukraine, Russia, Israel, and the United States. They participated in more than 100 sessions, movie screeenings, lectures, workshops, discussions, memorial ceremonies, special exhibitions, tours and performances. In typical Limmud style, formats and topics varied widely. The main topic of the Conference was the Arts. However, there also were lectures and discussions on Jewish History, the Holocaust, Israeli politics, Jewish social action, personal growth, and poetry. Presenters included Israel Supreme Court Justice Elyakim Rubenstein; founder and Director of the Yiddishpiel theater company, Shmuel Atzmon; noted television and radio journalist and Israel Prize laureate Yaakov Achimeir; Israel television producer and Director Boris Maftzir; Israel singer and actor Sassi Keshet; and Professor Raphael Walden of Sheba Medical Center and his wife Dr. Tzvia Walden, daughter of President Shimon Peres. The Conference included a number of special events, including the opening of a permanent photo exhibition to mark the 90th birthday of President Shimon Peres, who was born in Vishnyeva; and the unveiling of a plaque marking Shimon Peres’ birthplace. An evaluation was conducted by a professional evaluator. It indicated that the Conference contributed to a revival of Jewish tradition, Jewish education, and Jewish culture, and to strengthening Jewish national identity. It also supported the development of leadership and volunteeering within the Jewish community of Belarus.